An advertisement in the game as seen in Electronic Gaming Monthly. Notably, the screencaps use a mix of Sega Saturn and SNES screenshots. Mortal Kombat 3 (MK3) is the third entry in the Arcade line of Mortal Kombat games that were produced by Williams/Midway during the 1990s. The franchise is famous (and infamous) for its gore and "Fatality" mechanic. 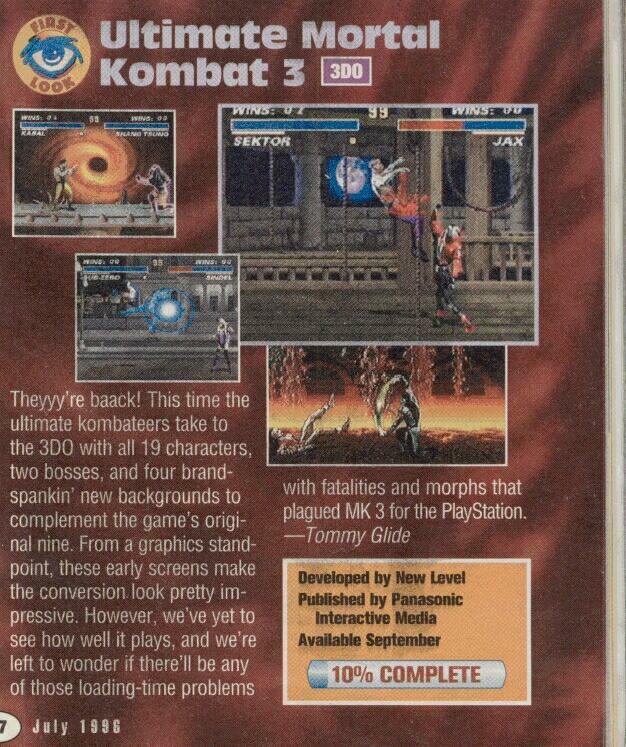 Mortal Kombat 3 was wildly popular at the time, so it only made sense that it was later updated in a version known as "Ultimate Mortal Kombat 3" (UMK3) that was later ported to many consoles, at the time including the Genesis, Sega Saturn, and SNES. A 3DO port was planned but has since been cancelled. However, remnants of its existence can still be found. Work on the 3DO version has proven to be done, and it's likely that it was cancelled late into development. 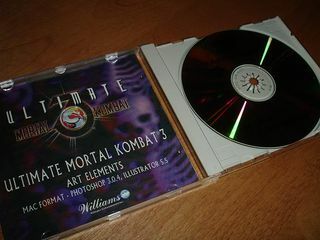 A user by the name of "bitrate" on the AssemblerGames forums has both the source code and art assets to the 3DO port of UMK3. While having ripped the art assets, it doesn't seem like they have shared the source code out to other users. Disc containing art assets used in the port.